← Embrace your skin…at any age! Mineral Fusion – minerals on a mission. Mineral makeups have been around for years…so many brands have come and gone… But one brand has stood out in the crowd since 2007 –Mineral Fusion . It is among the best brands in mineral cosmetics and skincare. Now, why Mineral Fusion? The entire line is packed with skin-loving nutrients. Your skin will actually get healthier by using it! Everything is free of gluten, parabens, SLS, phthalates, artificial colors and synthetic fragrances. 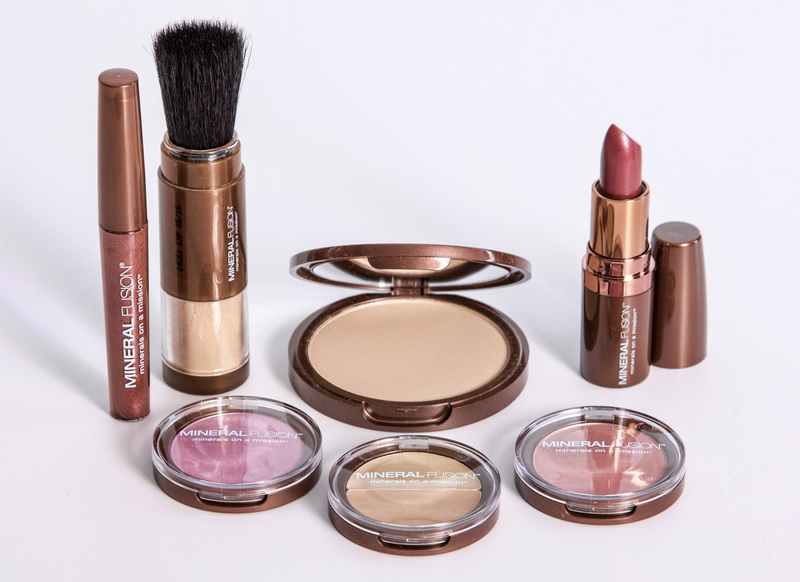 Mineral Fusion cosmetics are vegetarian-friendly and not ever tested on animals. They have loose and pressed powders in several shades to complement most skin tones. The lip glosses are ultra-hydrating. The blushes are very flattering. The eyeshadows are crease-resistant. The illuminating powder creates a gorgeous glow. The sheer tint foundation gives a dewy freshness. The eye pencils glide on with ease. I could go on and on…! So, what’s a reason not to use mineral makeup? I can’t think of one. Mineral Fusion are minerals on a mission to make your skin its most beautiful, most radiant ever. It’s a smart, natural choice, don’t you agree? This entry was posted in beauty, makeup, mineral makeup and tagged eyeshadow, face powder, foundation, lips, makeup. Bookmark the permalink.